Shanghai is physically and socio-economically vulnerable to accelerated sea level rise because of its low elevation, flat topography, highly developed economy and highly-dense population. 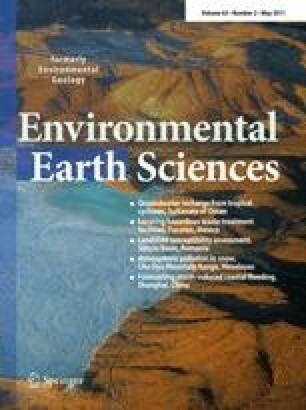 In this paper, two scenarios of sea level rise and storm surge flooding along the Shanghai coast are presented by forecasting 24 (year 2030) and 44 (year 2050) years into the future and are applied to a digital elevation model to illustrate the extent to which coastal areas are susceptible to levee breach and overtopping using previously developed inflow calculating and flood routing models. Further, the socio-economic impacts are examined by combining the inundation areas with land use and land cover change simulated using GeoCA-Urban software package. This analysis shows that levee breach inundation mainly occurs in the coastal zones and minimally intrudes inland with the conservative protection of dike systems designed. However, storm surge flooding at the possible maximum tide level could cause nearly total inundation of the landscape, and put approximately 24 million people in Shanghai under direct risk resulting from consequences of flooding (e.g. contamination of potable water supplies, failure of septic systems, etc.). This research was supported by the National Natural Science Foundation in China (Grant Nos: 41071324, 40730526), Science and Technology Commission of Shanghai Municipality (Grant Nos: 08240514000), the Oversea Visiting Foundation of East China Normal University, the Shanghai Youth Science and Technology Venus Program (Grants Nos: 09QA1401800), Key Subject Developing Project by Shanghai Municipal Education Commission (Grant Nos: J50402), Leading Academic Discipline Project of Shanghai Normal University (Grant Nos: DZL809), and Natural Science Research Project by Shanghai Normal University (Grant Nos: SK200727). We want to acknowledge suggestions from the anonymous reviewers, which helped to improve this manuscript. We extend these thanks to Xiaoyang Zhang and Yiqing Zheng for their assistance in reviewing the English version of this paper.